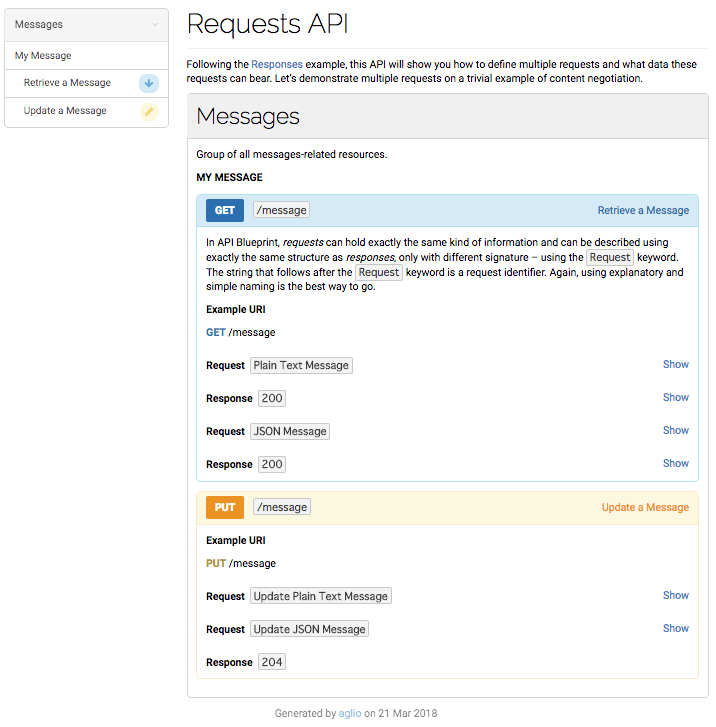 demonstrate multiple requests on a trivial example of content negotiation. Group of all messages-related resources. and simple naming is the best way to go.